How many times a week do you exfoliate your skin? 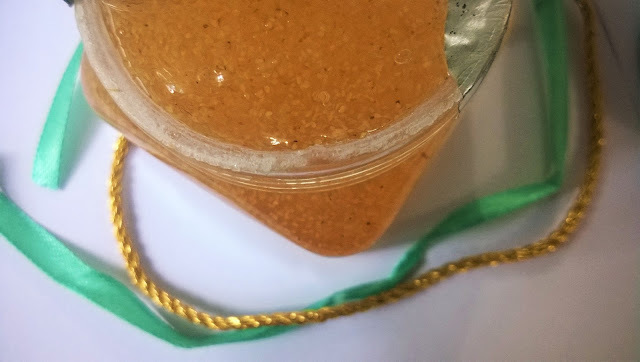 I try to exfoliate my skin twice a week, but lack of enough time often restricts me in doing so and I am doing it once a week or sometimes even once in every 15 days. 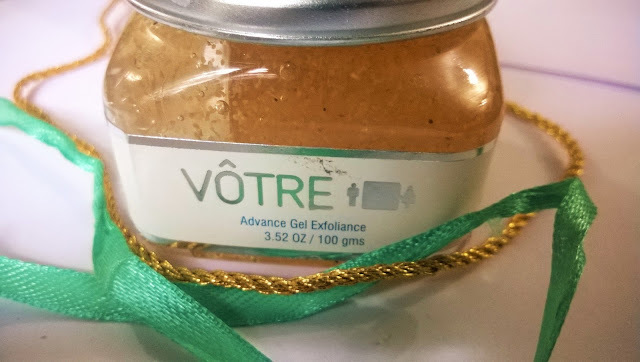 Today I will be talking about Votre Advance Gel Exfoliance. 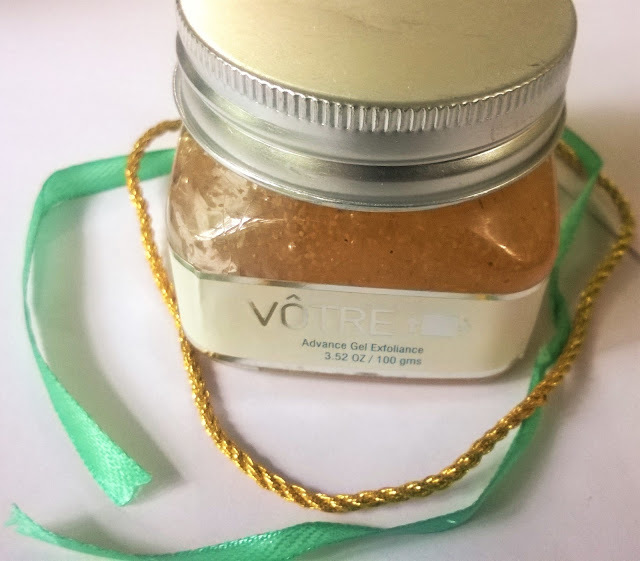 An euphoric surprise is what you will give your skin when you introduce it to the marvels of this ‘Advance Gel Exfoliance Scrub’ from VOTRE. This scrub will not only rid your skin of impurities and irregularities, but will also reinvigorate it and infuse it with a radiant charm and a youthful vigour. 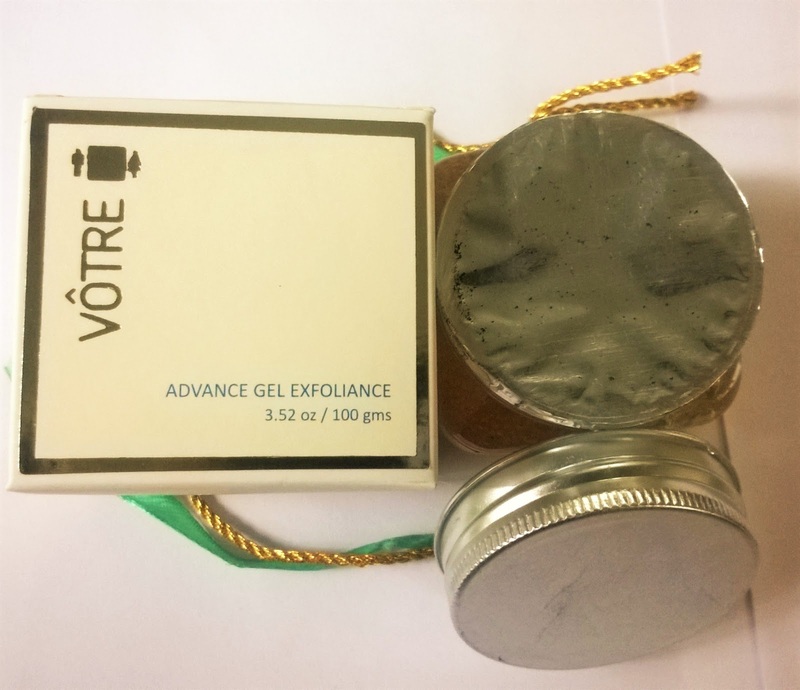 Packaging: Votre Advnace Gel Exfoliance comes in a white square cardboard packaging and the jar is transparent plastic with a silver metallic twist open cap. 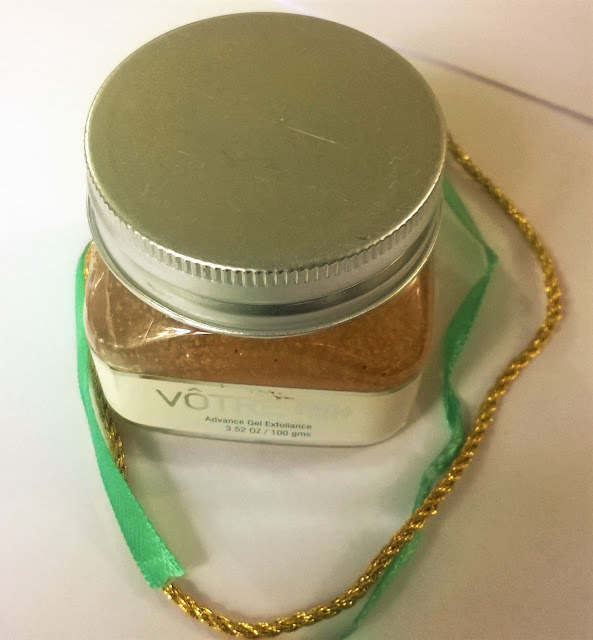 Product: The exfoliant is a golden gel with microbeads floating and has a wonderful smell. My Experience: I have noticed generally gel based exfolaints give a nice glow to the skin. Votre Advance Gel Exfoliance is gel based and the best thing about it is you just require a tiny amount to use all over the face. A massage for a minute or 2 in circular motion and then rinse off-your skin is left radiant, soft and smooth. 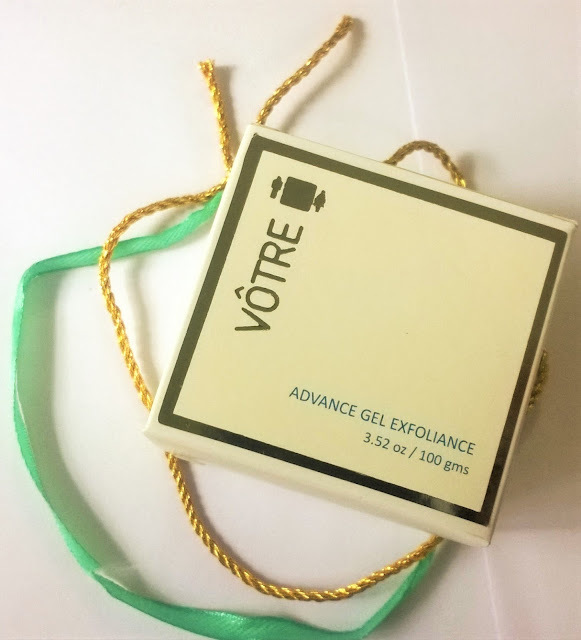 I have seen often exfoliating products can be harsh for skin, but Votre Advance Gel Exfoliance is different. Its gel texture, leaves the skin hydrated without becoming stretchy and tight even on the drier areas. Votre Advance Gel Exfoliance has fruit extracts. It has pineapple and papaya that are known to enhance complexion and chamomile that is a known agent for calming sensitive skin. I am simply loving this product. 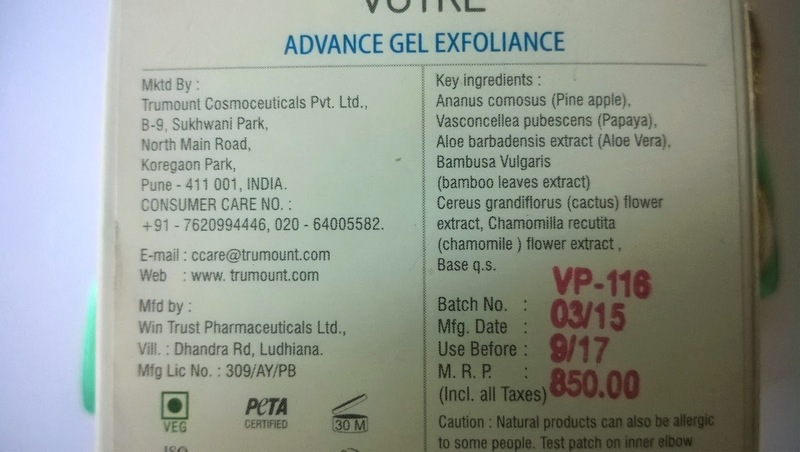 it is very gentle for my skin and I am sure it will be suitable for sensitive skin as well. The only hitch is the high price. 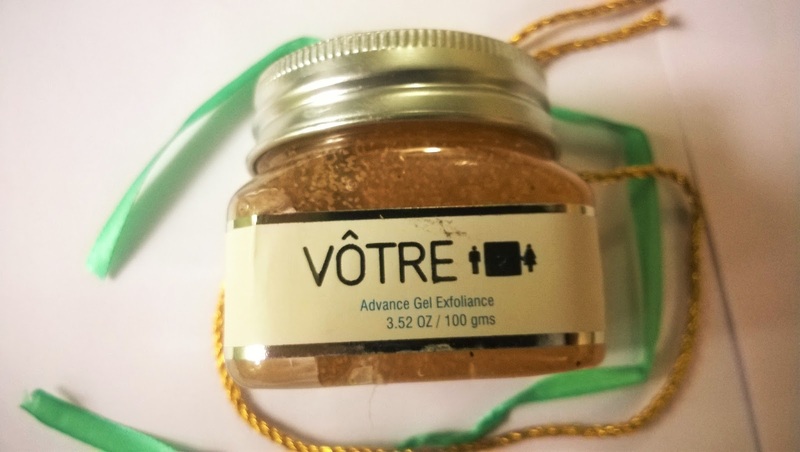 Votre Advance Gel Exfoliance is a very gentle exfoliating product for all skin types. I recommend it strongly to all, even for sensitive skin for a smoother and radiant skin.